We write as people who have generally been supportive of the work of Amnesty International and other human rights groups. But we are concerned that you seem to have forgotten to oppose all violations of human rights -- by all sides -- in war. You are highlighting war-making in Syria's civil war by one side only. This one-sided treatment by a group avowedly dedicated to all human rights is fueling the fires of a wider war from which the people of Syria can only suffer. We urge you to assertively expose and condemn all wartime violations of human rights -- without downplaying or ignoring the violations committed by the U.S. government and its allies. Please add your own note to Amnesty International. 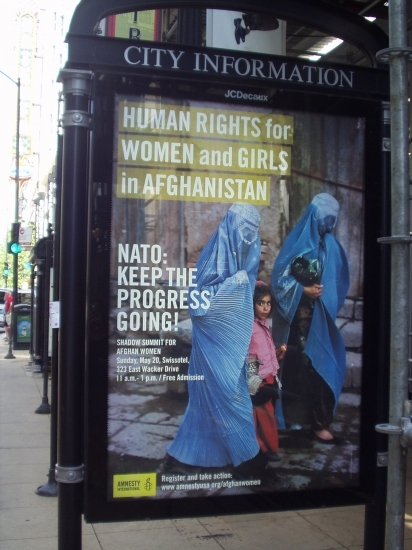 9014 Sun Jun 30 07:37:00 EDT 2013 John Honeck Hamlin, NY , US As a longtime Amnesty International USA member I find war making by any side to be troubling since we all know that 'war is hell.' Human rights violations by all sides during war should be Amnesty's main More....concern. The only ones without blemish on either side are those that advocate and practice nonviolence. 9011 Tue Jun 25 01:54:19 EDT 2013 Simon Tesfamariam Durham, NC , US Amnesty I am disgusted by your imperial warmongering and hostilities against countries like Syria and Eritrea. We will not stand idly as you destroy developing nations under the cloak of human rights. More....Poverty is a human right. Peace is a human right. You ignore these critical factors for a holistic assessment of human rights vis-a-vis the governments of these countries. We demand that you change your ways now.